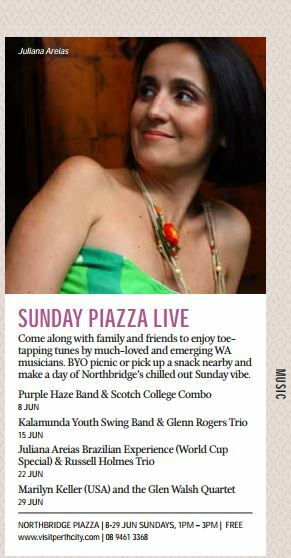 The City of Perth – Winter Arts Season 2014 and the Northbridge Piazza’s popular Sunday Piazza Live music series, present a World Cup special with The Juliana Areias Brazillian Experience on 22 June -2-3pm – Free Family Event. 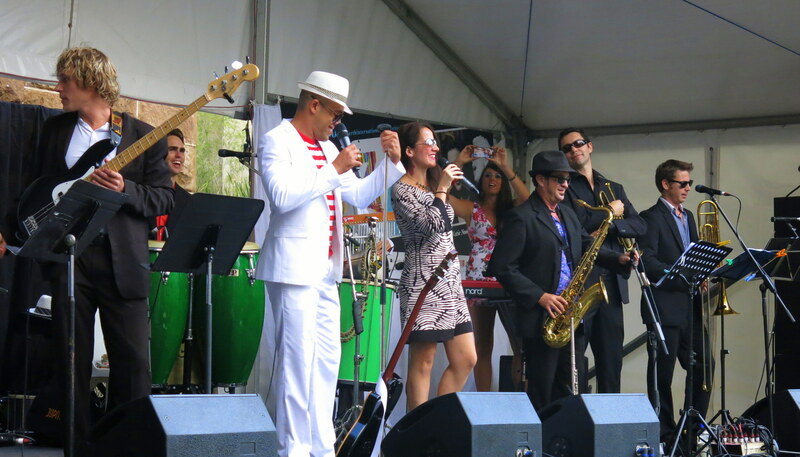 A musical journey beyond samba, soccer and carnival discovering more colors and sounds of Brazil through the authentic Brazilian voice of Juliana Areias combine with the musicality of her unique band composed by Marcio Mendes (guitar/percussion/vocals), Paul Millard (sax/flute), Joe Southwell (bass) and Chris Tarr (drums). 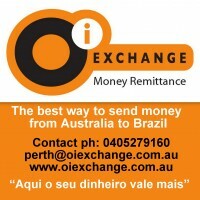 Let’s celebrate life Brazilian style! 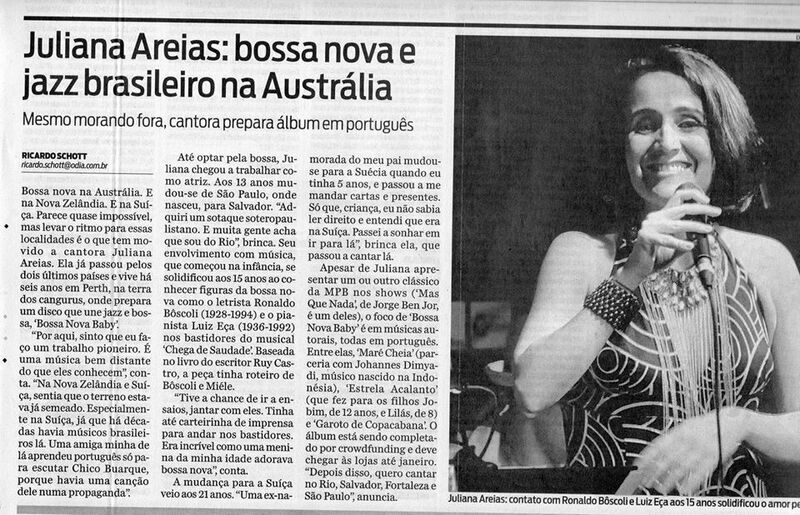 Juliana Areias is producing her first original album tiltle ” Bossa Nova Baby”. World’s eyes in Rio. Rio’s ears in Perth. A Big clap and special thanks to journalists Ricardo Schott , Bruno Astuto, Acyr Mera Junior, Dani Barbi, Karla Rondon Prado, Claudia Jardim Rondon and Rodrigo Vasconcellos.